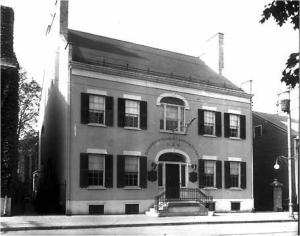 Hudson Area Library History Room and the Hendrick Hudson Chapter National Society Daughters of the American Revolution present “The History of the Robert Jenkins House, a home in Hudson: A Tour & Talk” by Jeane La Porta on Thursday, May 10 at 6pm. This program is a rare opportunity to tour and learn about the history of this building, at 113 Warren Street, which is on the National Register of Historic Places. The Robert Jenkins House has been owned by the Hendrick Hudson Chapter of the DAR since 1900. The house was built in 1811 by Robert Jenkins, son of one of the original Proprietors of the City of Hudson, who went on to serve as third and fifth mayor of Hudson. The History Room Committee of the Hudson Area Library is pleased to welcome back Peter Jung to the library on Thursday, June 9th at 6:00pm as a guest speaker in the Hudson Area Library’s Local History Speaker Series. 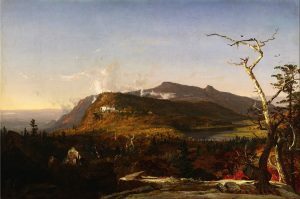 Jung will offer a fascinating follow up presentation discussing the Art of the Hudson River School (1825-1875), specifically the local artists Sanford. R. Gifford, Frederic Church and Thomas Cole. Seventy images and paintings will be shown, along with details of the artists’ lives and their circumstances. A question and answer period will follow, accompanied by light refreshments. The History Room Committee of the Hudson Area Library is pleased to welcome Brian Reid to the library on Thursday, November 12 at 6:00pm as the guest speaker in the Hudson Area Library’s Local History Speaker Series. 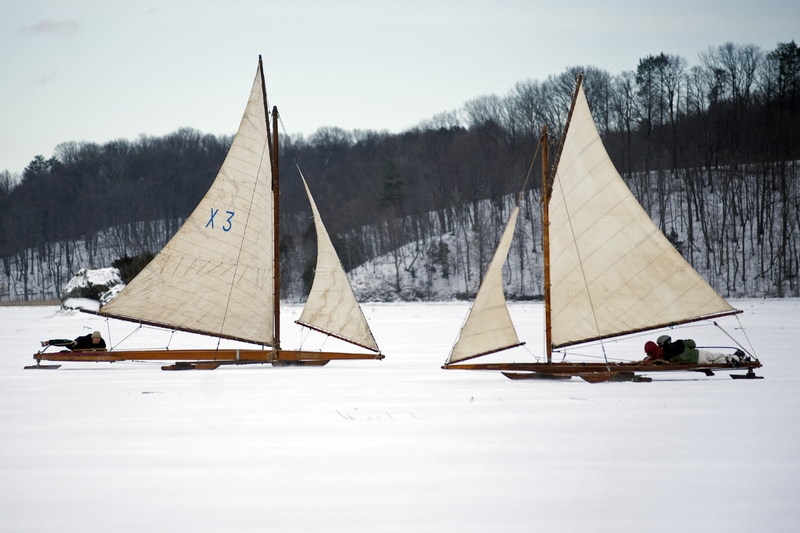 Mr. Reid will discuss 200 years of ice yachting on the Hudson River including the origins, major sailors in the Hudson Valley and the history of the Hudson River Ice Yacht Club. The History Room Committee of the Hudson Area Library is pleased to welcome Bob Taylor to the library on Thursday, October 22 at 6:00pm as the guest speaker in the Hudson Area Library’s Local History Speaker Series. Mr. Taylor will discuss living at the Hudson-Athens lighthouse in the early days, built in 1874, and raising a family there. 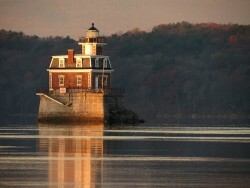 He will further compare the hardships of family life at the Hudson-Athens lighthouse with the challenges faced today by modern lighthouse keepers and preservationists. The History Room Committee of the Hudson Area Library is pleased to welcome John Paul Keeler to the library on Thursday, June 4th at 6:00 pm as a guest speaker in the Hudson Area Library’s Local History Speaker Series. Mr. Keeler will offer a discussion on “Hudson: Then and Now” with a viewing of photos from his personal collection to follow. There will be a question and answer period afterward, followed by light refreshments. 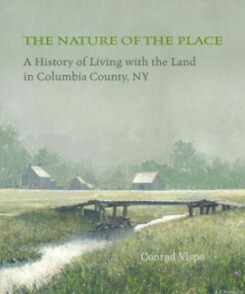 The History Room Committee of the Hudson Area Library is pleased to welcome Peter Cipkowski to the library on Thursday, April 30th at 6:00pm as a guest speaker in the Hudson Area Library’s Local History Speaker Series. 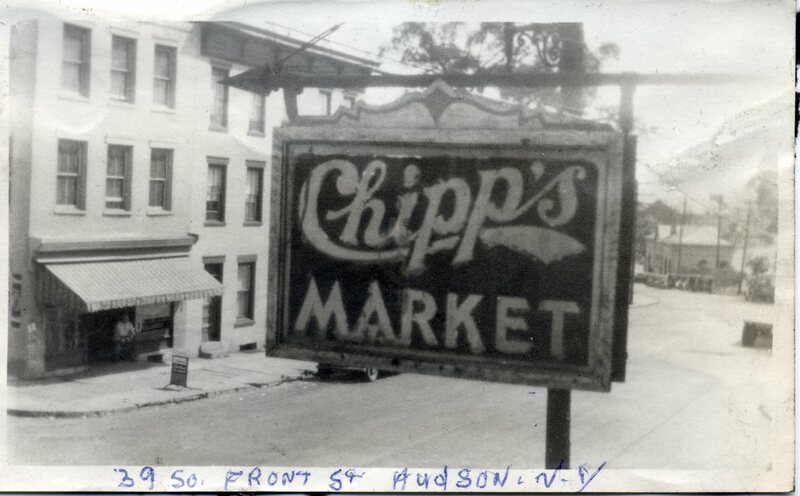 Cipkowski will offer a photo presentation on Hudson’s Lost Neighborhood: Remembering South Front Street. As seating is limited, this special presentation will be offered by reservation only by calling the library at 518.828.1792, Tuesday through Saturday. 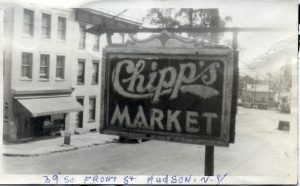 A historical look at the South Front Street neighborhood that was devastated by Urban Renewal in the 1970s, Cipkowski frequently visited his grandparents, Jozef and Anna Cipkowski, in his youth, where the family owned and operated Chipp’s Market at 30 South Front Street from 1925-1970. 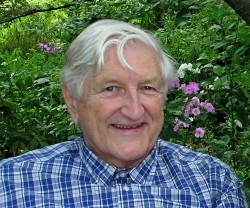 Josef Cipkowski was also an amateur photographer and amassed a large collection of photographs and home movies of family and friends in Hudson. The History Room Committee of the Hudson Area Library is pleased to welcome Peter Jung to the library on Thursday, March 5th at 5:30pm as a guest speaker in the Hudson Area Library’s Local History Speaker Series. Jung will offer a fascinating presentation discussing the Art of the Hudson River School (1825-1875). Images and paintings will also be shown, along with details of the artists’ lives and their circumstances. A question and answer period will follow, accompanied by light refreshments.